December 1757: Not since losing Silesia in 1742 hadAustria come so close to regaining the province. With therecent Imperial victory at Breslau (November 22) Austrian forces under Prince Charles of Lorraine and Field-marshal Daun, the victor at Kolin, were only a battle away from that goal. 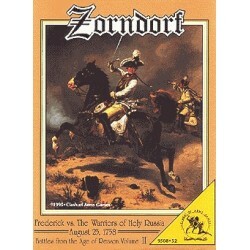 They expected to fight this battle in the new campaign year which would begin in the coming spring. For King Frederick II the loss of Silesia would not only be a devastating blow to his prestige but deprived of its resources, revenue and manpower Prussia's ability to continue the war would be desperately compromised. Rather than to allow the enemy to go unchallenged Frederick marched his remainingarmy of 40,000 men composed of Rossbach veterans and Breslau survivors against Charles' nearly 60,000 polygenous force of Austrians, Hungarians, Imperials, Bavarians and Wurttembergers. 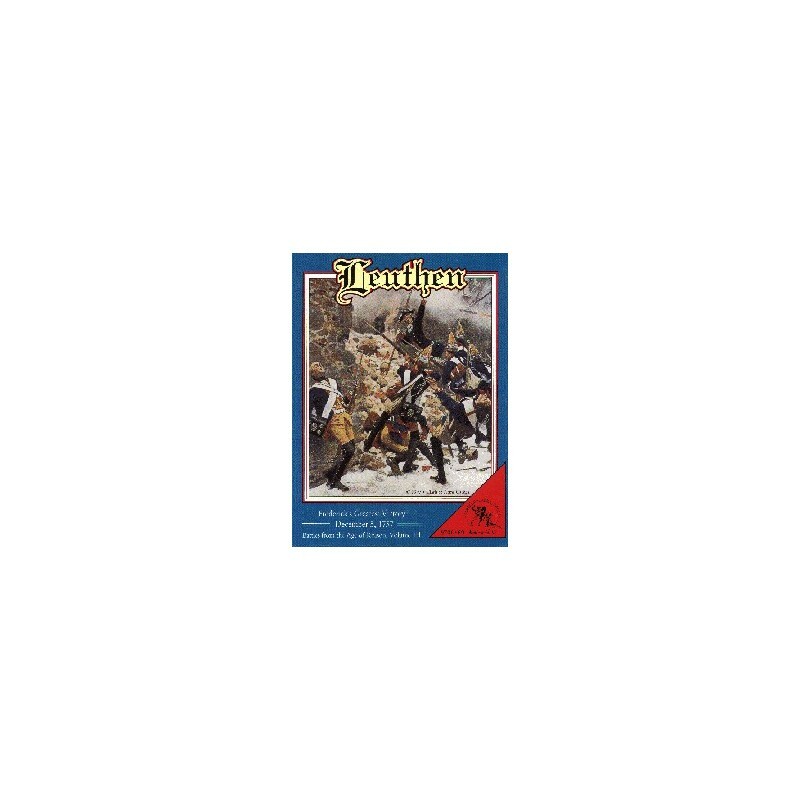 On a frigid December 5th, in a season when armies usually sought the comfort of winter quarters, the opposing forces met on the snow covered fields surrounding the Silesian village of Leuthen. After deftly maneuvering around Prince Charles' flank Frederick's Prussians attacked with unprecedented fury collapsing the enemy line. However, despite this initial crushing blow the Austrians were able to reorganize their front and fight the Prussians to a standstill leaving the battle's final outcome still in doubt. Only after a climatic cavalry charge, did the Habsburg army finally break and retreat to Breslau. Two weeks later the city capitulated and the Austrians evacuated Silesia. 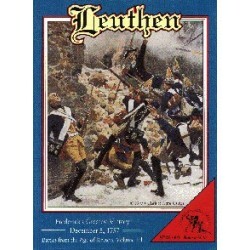 Although the war would continue for another six years Frederick would never again attain the level of success he did at Leuthen, his greatest victory. 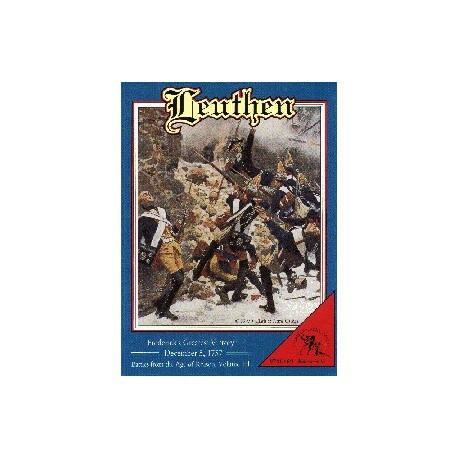 Leuthen (Battles from the Age of Reason, Vol. 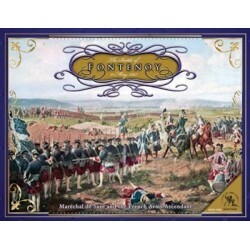 3) presents both gamers and students of the period with a colorful and meticulously detailed simulation with which to explore the actual events and possibilities of this definitive battle. Included is an historical commentary written especially for the game by the period's leading authority, Prof. Christopher Duffy. 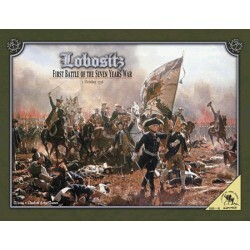 This narrative contains many previously unpublished aspects of the battle and includes maps, diagrams, statistics and his analysis of the 1757 campaign in Silesia.